What would you do to possess the most coveted color in the world? The year is 1758, and a headstrong woman artist, 24-year-old Genevieve Planche, is caught up in a high-stakes race to discover the ultimate color, one that threatens to become as deadly as it is lucrative. When Genevieve's mission is complicated by her falling in love with the chemist behind the formula, she discovers the world of blue is filled with ruthless men and women and how high the stakes really are. The story sweeps readers from the worlds of the silk-weaving refugees of London’s Spitalfields and the luxury-obsessed drawing rooms of Grosvenor Square to the porcelain factory of Derby and, finally, magnificent Sevres Porcelain in the shadow of Versailles. And running through it all: the dangerous allure of the color blue. 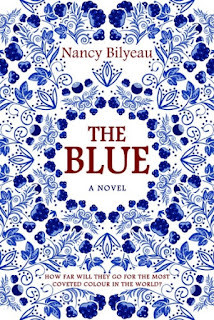 "Bilyeau’s sumptuous tale of mystery and intrigue transports the reader into the heart of the 18th century porcelain trade—where the price of beauty was death"’ E.M. Powell, author of the Stanton & Barling medieval mystery series. 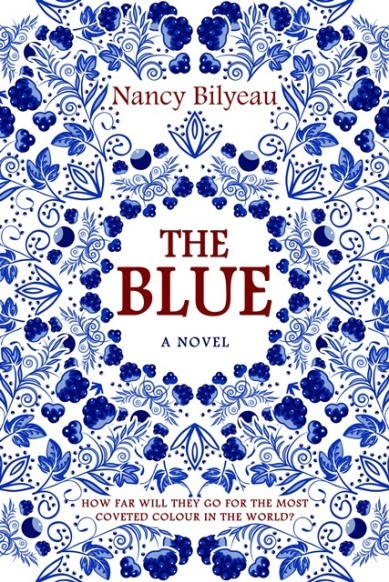 "Bilyeau deftly weaves extensive historical detail throughout, but the real draw of this suspenseful novel is its juicy blend of lust, murder, conspiracy, and betrayal." —Review of The Crown published in Oprah, which made the book a pick of the month. 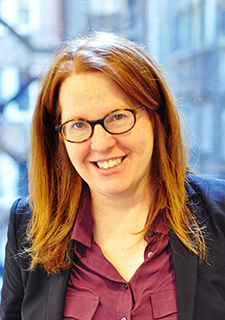 Nancy Bilyeau has worked on the staffs of InStyle, DuJour, Rolling Stone, Entertainment Weekly, and Good Housekeeping. She is currently a regular contributor to Town & Country and the editor of the digital magazine The Big Thrill. Her screenplays have placed in several prominent industry competitions. Two scripts reached the semi-finalist round of the Nicholl Fellowships of the Academy of Motion Pictures Arts and Sciences. A native of the Midwest, she earned a bachelor's degree from the University of Michigan. THE CROWN, her first novel and an Oprah pick, was published in 2012; the sequel, THE CHALICE, followed in 2013. The third in the trilogy, THE TAPESTRY, was published by Touchstone in 2015. The books have also been published by Orion in the UK and seven other countries. For more information, please visit Nancy Bilyeau's website. You can also find her on Facebook, Twitter, and Goodreads. Thanks so much for hosting Nancy's Cover Reveal! I hope you love it as much as I do!